Companies Made Simple Review by Kneeton LTD and more. Feefo is an independent ‘Global ratings and reviews provider’. 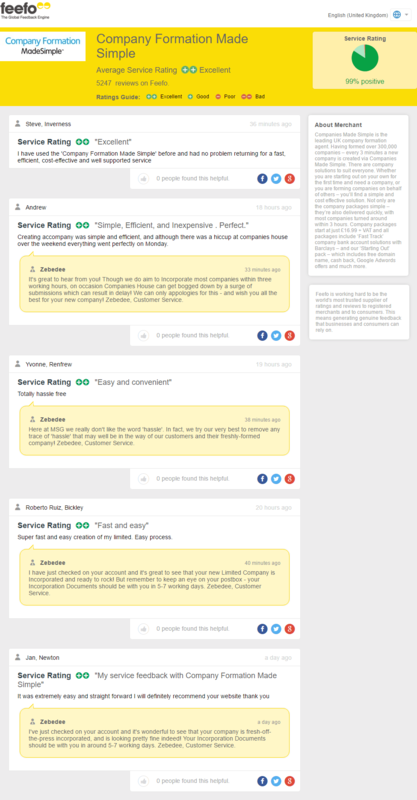 Our customers are invited by Feefo to anonymously rate us and leave feedback. These reviews are unedited - we can not select which appear (all reviews are shown, positive and negative) nor can we shape the reviews themselves.